The United Nations Secretary-General Antonio Guterres appointed Monday former U.S. Charge d'Affaires in Libya, Stephanie Williams, as his Deputy Special Representative for Political Affairs in Libya. 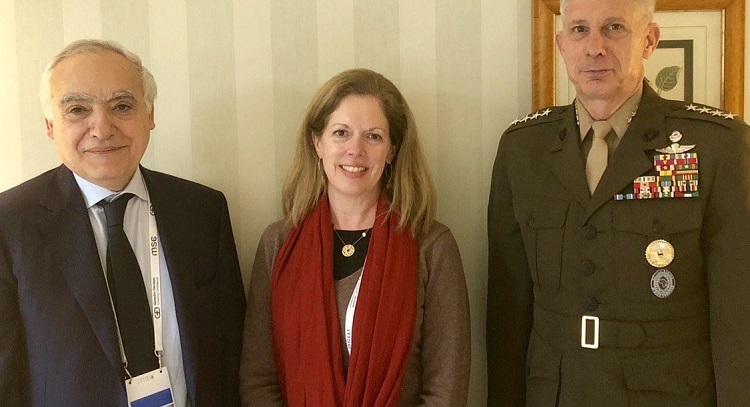 Arabi 21 news website quoted western diplomatic sources as saying that the charge d'Affaires of the U.S. Embassy in Libya Stephanie Williams was picked after consultations between the U.S. President Donald Trump and the UN Secretary-General Antonio Guterres. The sources added that the assignment of Williams came to reduce the French influence that has begun to grow recently, especially after Paris continued to hamper the issuance of the four major powers’ statement in the Security Council for more than once to condemn the declaration of Khalifa Haftar to hand over control of oil ports to the parallel government in the east. The same sources reported that the right-wing Italian government, which took over office last March, encouraged the Trump administration to appoint Stephanie Williams for this position.